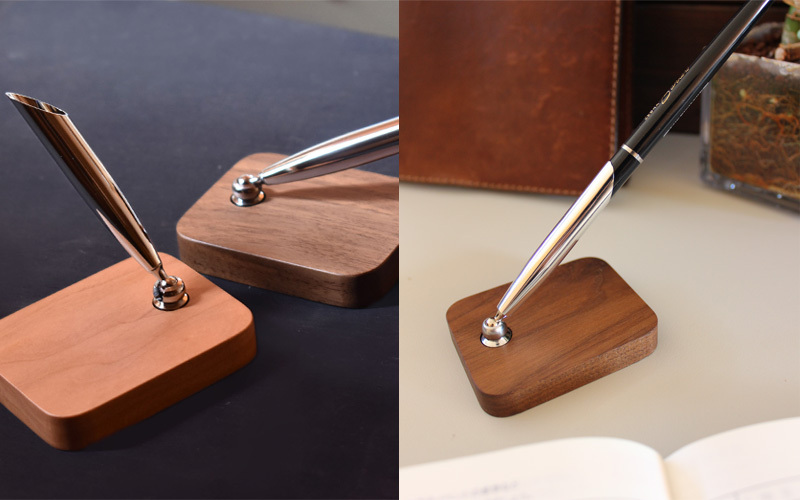 This wooden pen stand with warm touch of wood will make your study calm and comforting. 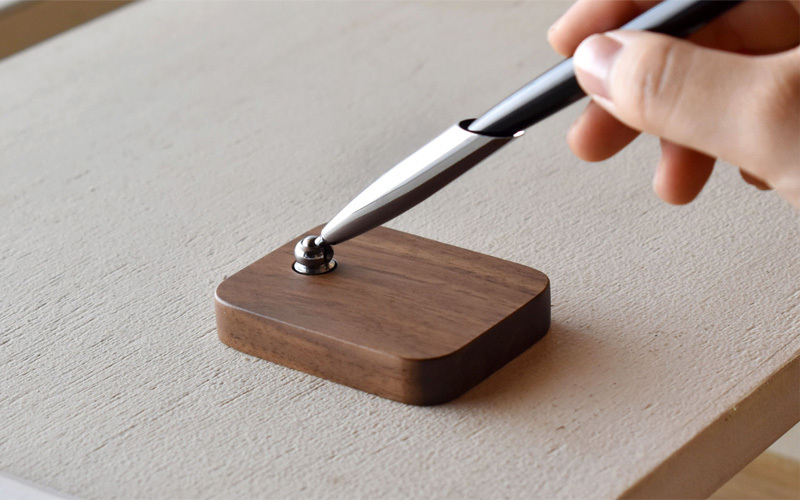 This stand will be a fixed place for your pen, and you will always know where to find it. With regular use, it will start to show beautiful luster. 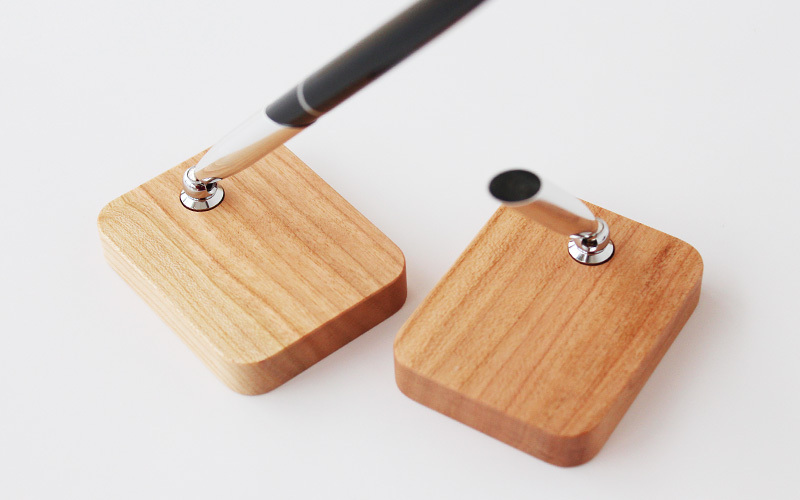 With its rich texture of real wood, it is ideal to welcome your guest at reception desk and counter. Complimentary stick ballpoint pen included. Additional pens to replace are available.